Money in the Garage: Boy do I feel stupid! Boy do I feel stupid! Sometimes you have to swallow your pride when hunting for merchandise to sell. As a guy, it can be really embarrassing buying certain kid toys, specifically girl's toys. Case in point, I use to buy those "My Size Barbie" dolls whenever I spotted them. These 36 inch tall Barbie dolls use to see a pretty good return on your investment. I typically would pick them up in the five to ten dollar range, then flip them on Ebay for $40 or more. Lately their prices have seemed to drift downward and I often pass on them. Believe me, walking down a driveway with a huge Barbie under the arm gets a lot of looks and smirks from people! The meager profit is just not worth the embarrassment of a middle age guy buying a Barbie! When faced with these awkward situations, the lame defense that I throw out to a seller is that my daughter collects them. But that's starting to lose credibility with my graying hair. Soon I'll be faced with that dreaded day when instead I'll have to say, "It's for my granddaughter"... Ughh! Not long ago I bought this Disney Snow White Castle. It came with all kinds of Disney characters. The seller was standing with her neighbor enjoying their morning coffee. She had priced the whole set at only three dollars! Knowing Disney toys are almost always a sure bet, I gladly paid it. As I walked away with my very girly Cinderella Castle, the seller just had to throw in a little zing, "Enjoy your Castle!" she said laughing. I threw out my usual response, "Oh, my daughter is really going to like it" and walked back to my truck grumbling ! But I had the last laugh! 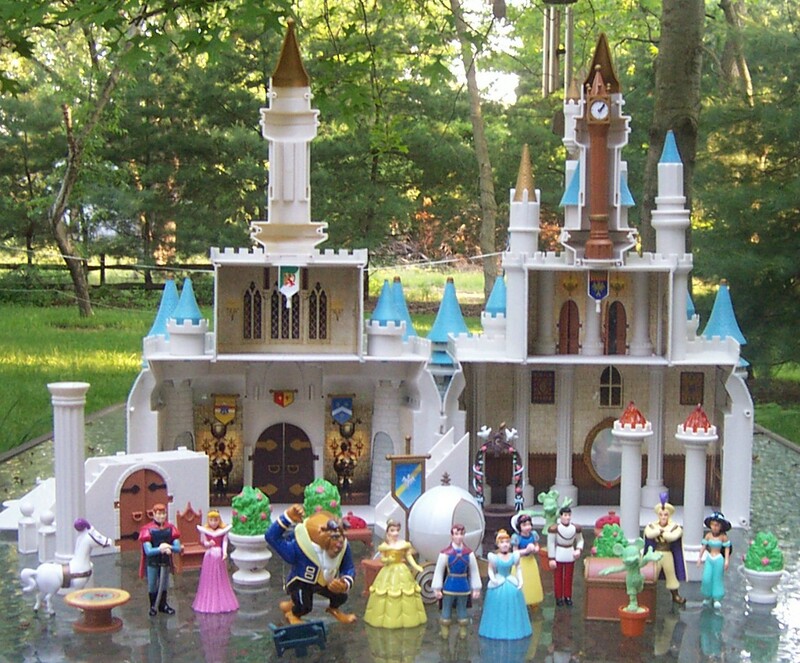 This Castle sold on Ebay for $60! So while I sometimes suffer zings and strange looks at the yard sales, it usually pays off in the end! ....and people are crazy !